There are a lot of wonderful reasons people want to move to the Grand Canyon State. With 20 storage centers in Arizona ourselves, we can tell you we’re big fans of the place. Tucson, in particular, is an incredibly popular area and for many reasons. With over 350 days of sunshine each year, Tucson is perfect for swimmers, golfers, tennis players, and any other kind of recreational adventurer there is. While the summers do get hot (90-100+ degrees), there is virtually no humidity. The summers are also broken up by a monsoon season in July and August when afternoon rainstorms cool everything down and then stop abruptly, leaving nothing but the wonderful smell of rain and clear skies for the sun to come out again. In fact, afternoon rainstorms are really as bad as it gets, weather-wise in Tucson. Natural disasters are extremely rare (almost no recorded earthquakes, floods, or tornadoes) and if any snow falls, it’s only for a day or two in the winter. Tucson and its surrounding areas enjoy amazing sunsets and wide open spaces to explore and enjoy. There are dozens of hiking trails, even within the city limits, and a dedication to natural landscaping throughout the area. 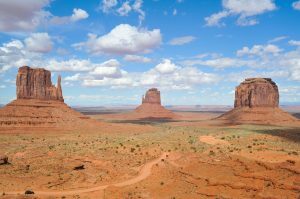 The city is surrounded by five small mountain ranges, including the Santa Catalina and the Tortolita Mountains to the north, the Santa Rita Mountains to the south, the Rincon Mountains to the east, and the Tucson Mountains to the west. Rock climbers love Tucson! For many years Tucson has been consistently winning awards and getting ranked as a city for bicyclists. The Travel Channel has reported that Tucson has “more bicycle infrastructure than any city in the United States.” Because of the weather and the abundance of trail runs conveniently located throughout the city, there is also a network of running companies organizing races throughout the year. The city has also been ranked as one of the top 5 cities in the U.S. for air quality, and was ranked the #1 cleanest metropolitan area in the country for 24-hour particle pollution by the American Lung Association. 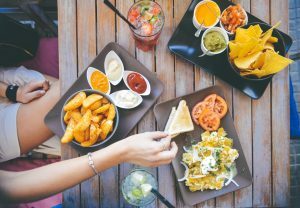 Downtown Tucson has award-winning restaurants and a bustling nightlife—not to mention excellent cuisine from South of the Border. The University of Arizona, which is located in Tucson, boasts world class sports teams and seasonal events, and the city is home to one of only two spots in the country with facilities for Major League Baseball Spring Training. Small business owners find that the city policies are supportive of their endeavors and professionals in every field enjoy the convenience of having nearby access to Phoenix as well, which is the 6th largest city in the country. However, Tucson avoids the rush of business timetables. There is a slower pace to things. Casual dress is more common than suits and ties, and they even opt out of observing Daylight Savings Time. Families in Tucson love that fresh produce is grown easily and inexpensively in the area, so grocery stores are well stocked with fresh produce at a great price. Also, the city was named one of Amazon’s top cities for being well read and is home to the 4th largest book festival in the country. Any major move is made easier with the use of storage centers. With dates overlapping for travel and move in timelines, it is a lifesaver to be able to make use of available storage rooms for rent in any relocation city. Additionally, secure self-storage options mean that unpacking can be done in a worry-free and orderly way, with boxes being unloaded as needed and out of the way in the meantime. Gone are the days of arriving late in the evening, unloading a giant moving truck in the dark on a new street, and tripping over boxes for weeks as they are unloaded en masse, being stacked and restacked in the process. 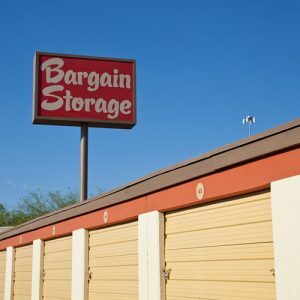 We have 3 convenient storage centers in the Tucson area: Miracle Mile Bargain Storage, Smart Bargain Storage and Tucson Bargain Storage offer drive up self-storage, cooled storage and uncovered RV parking. If you are exploring the idea of relocating to Tucson, we would love to visit with you. Contact us today!